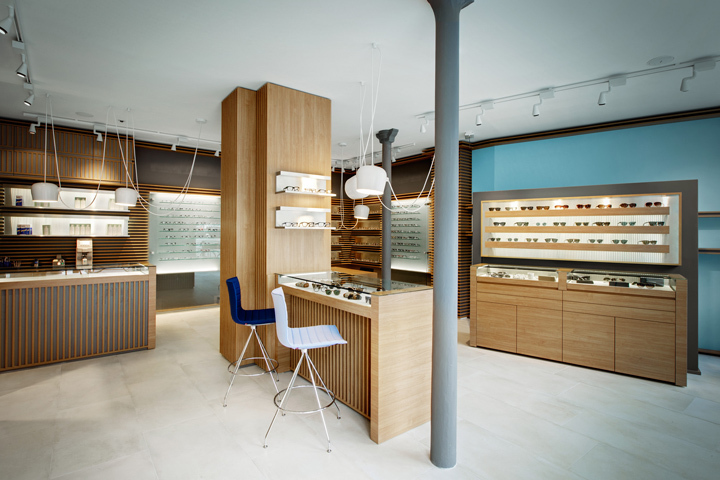 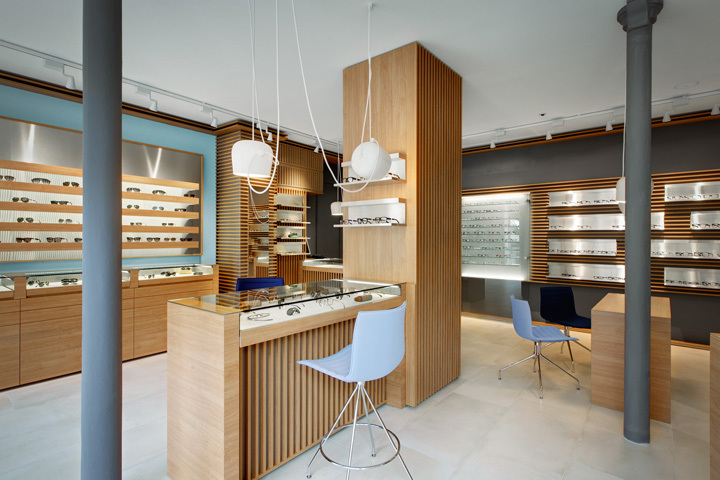 “Thomas Optician” is the result of the transformation of a former, old book store of the 5th district in Paris in an optical shop. 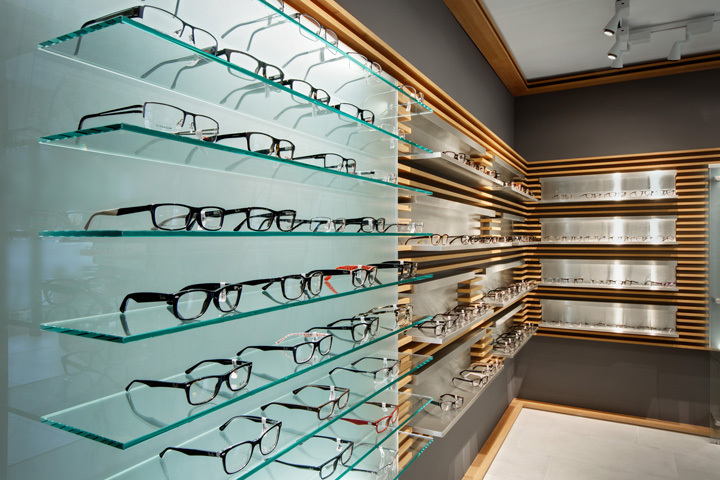 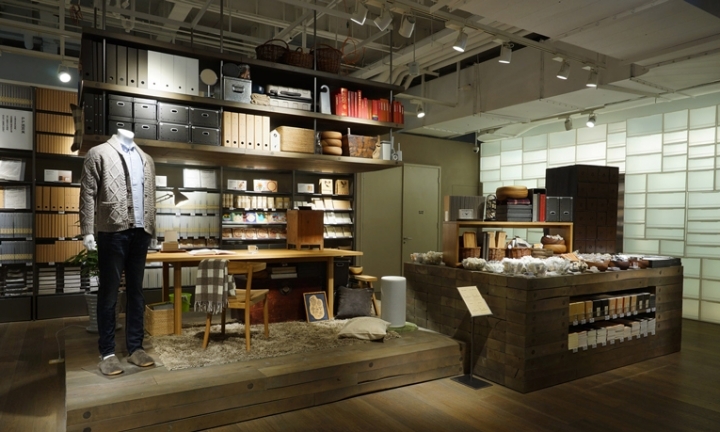 “We wanted to represent the structure of the old library, so typical of this university district, covering the walls of the store with a long straight wooden structure, such as a library, which hosts the shelves on which the glasses are placed, as books.” People are invited to walk around and try the glasses themselves. 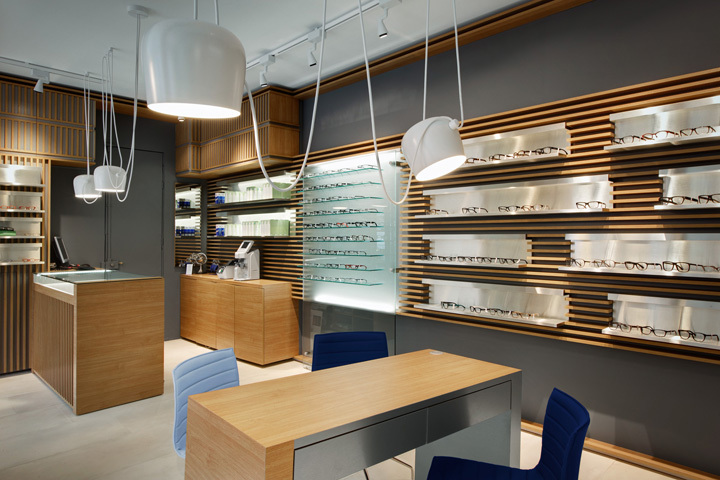 We wanted to create small areas with a more cosy lighting, focused on the tables, like in a library.” By integrating into the retail space the “Aim” pendants designed by the Bouroullec brothers for Flos, Pisi Design aimed to increase the visibility of the store and the choice of the owner to highlight the latest trends of glasses designed by independent “stylists”. 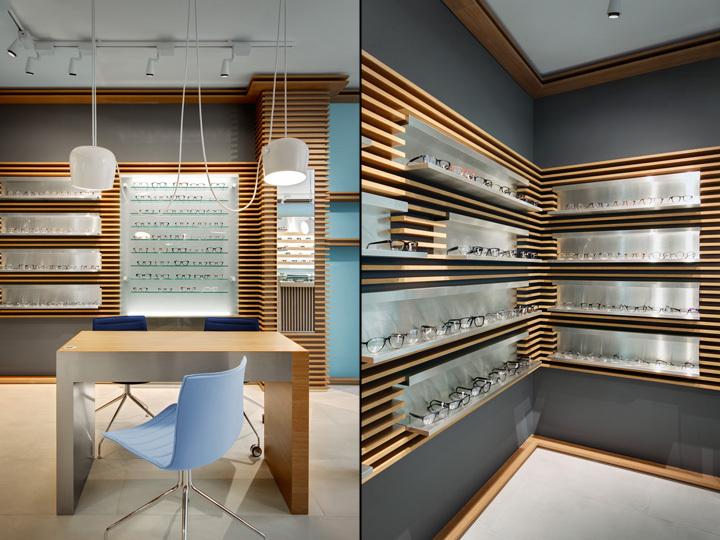 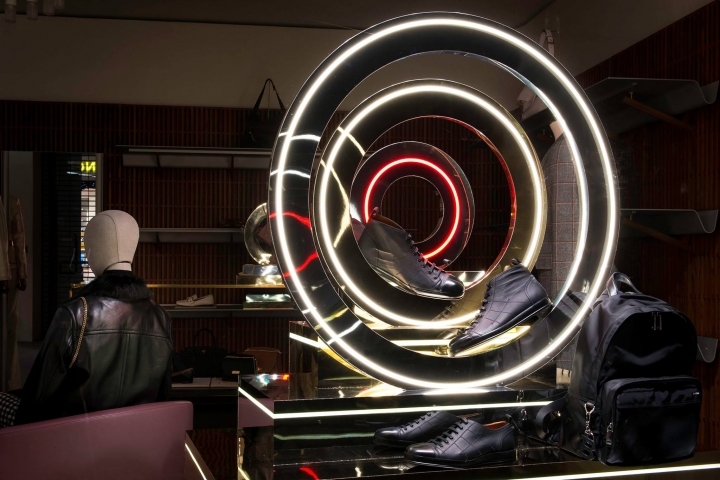 The various elements of the store aim to set a dialogue between the materials characterizing the glasses and the former book store: glass, metal and wood, in a contemporary re-interpretation of the classical parisian moldings.